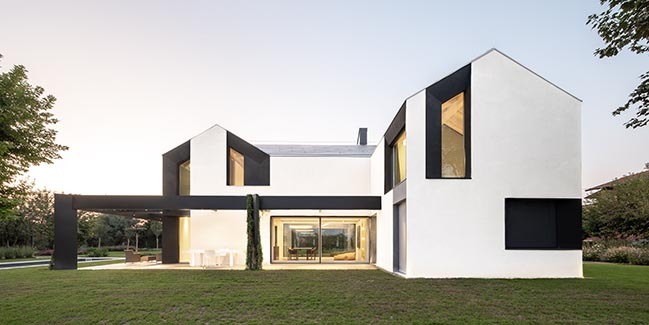 The country house is anchored to the horizon line, where the bank of the Tresinaro torrent stands as background and scene of the environmental field. 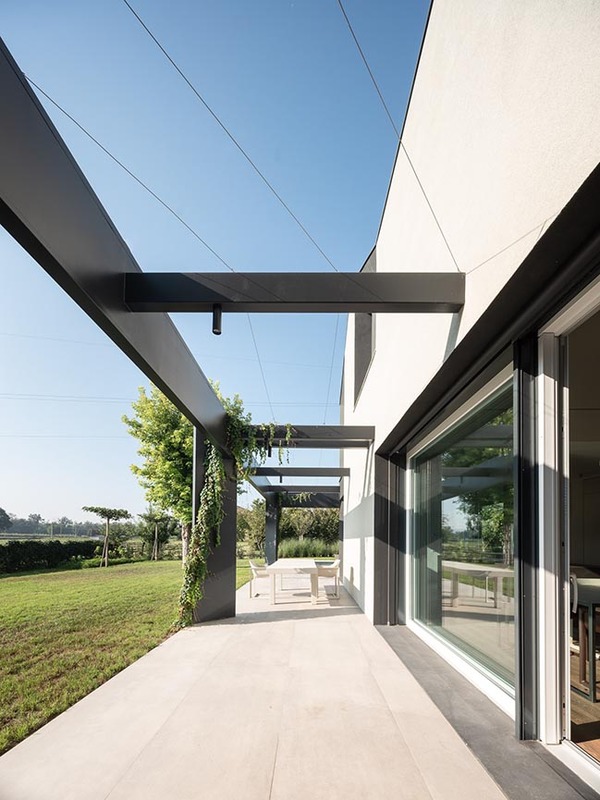 The project reinterprets the Po Valley historical space named porta morta in contemporary terms, defining a hollow space that becomes the fulcrum of architecture. 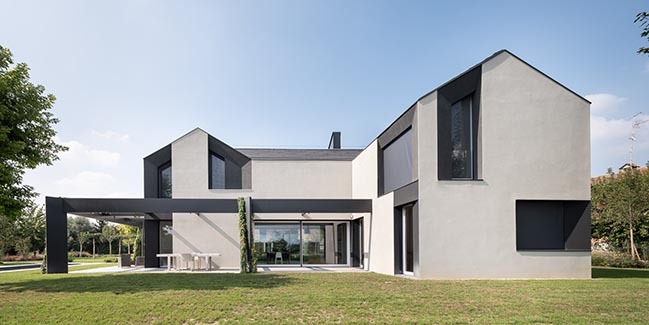 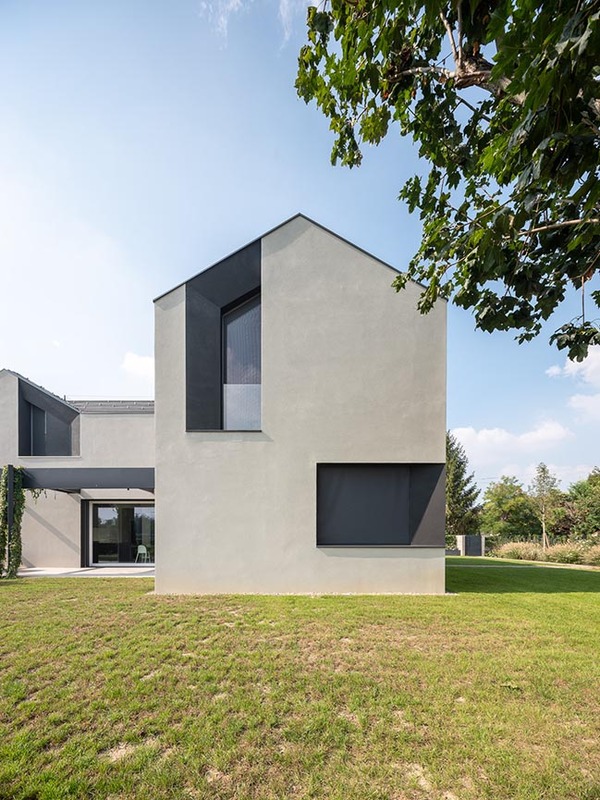 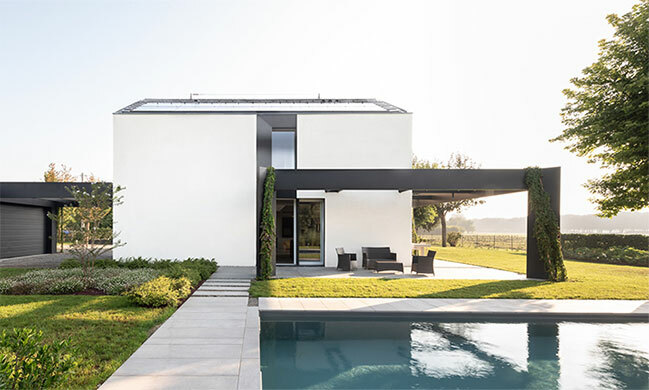 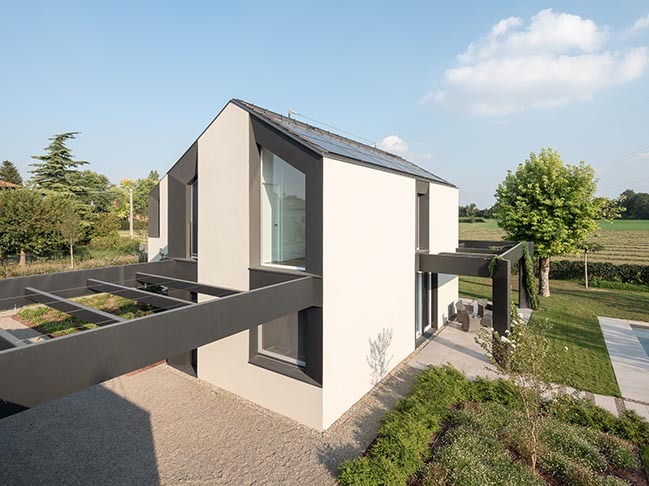 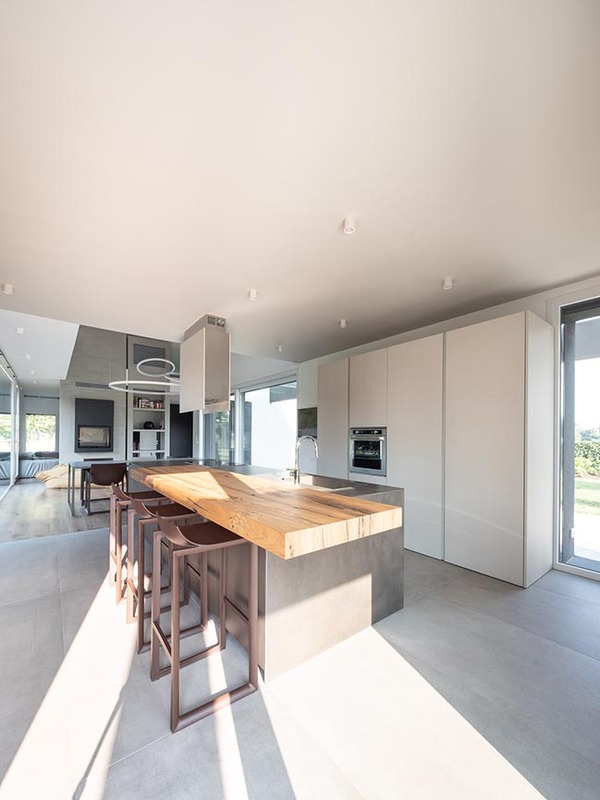 From the architect: The volume is moved and deformed by two side wings that help to ground the house in the plot, without extending excessively the inhabited surface. 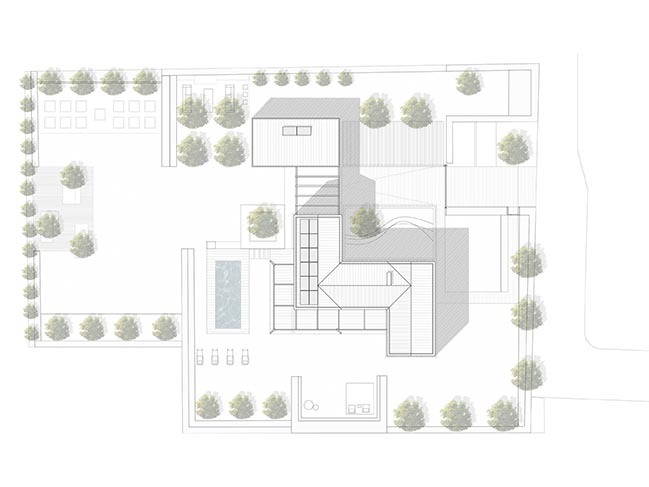 These are the keypoints of the composition for the interior and exterior spaces. 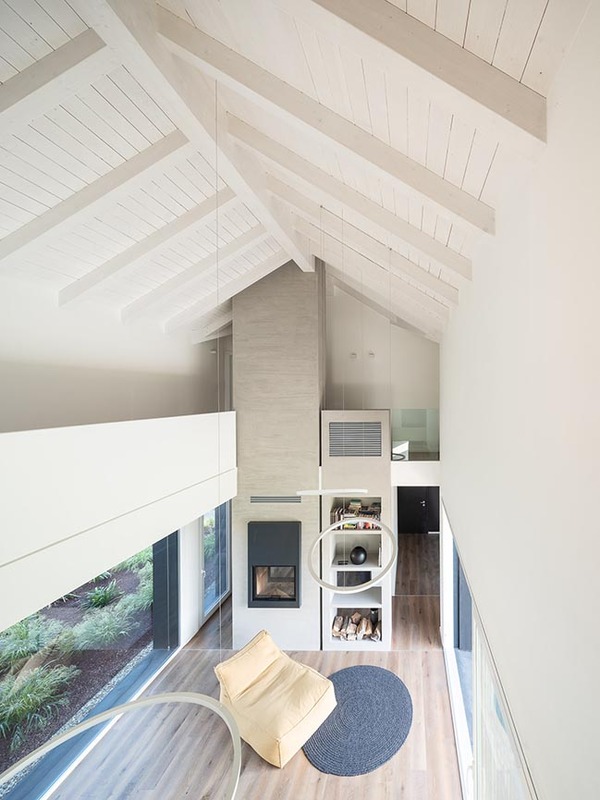 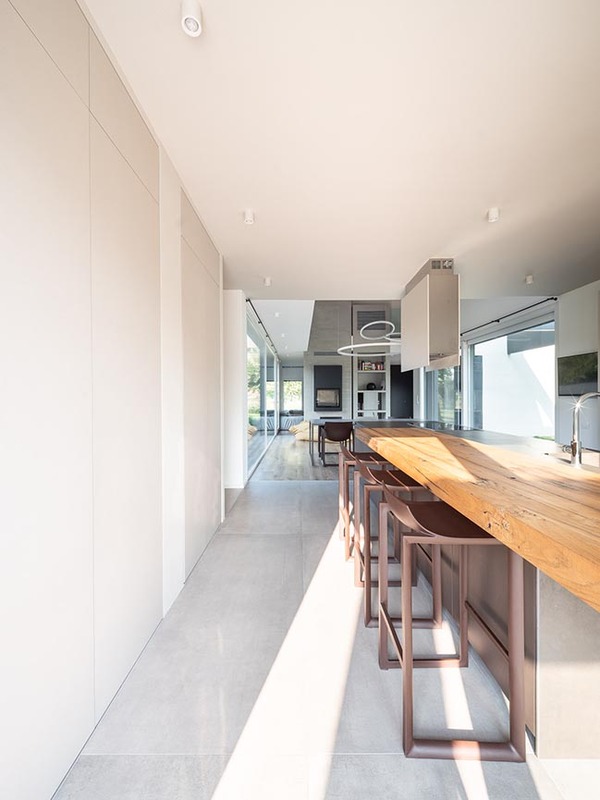 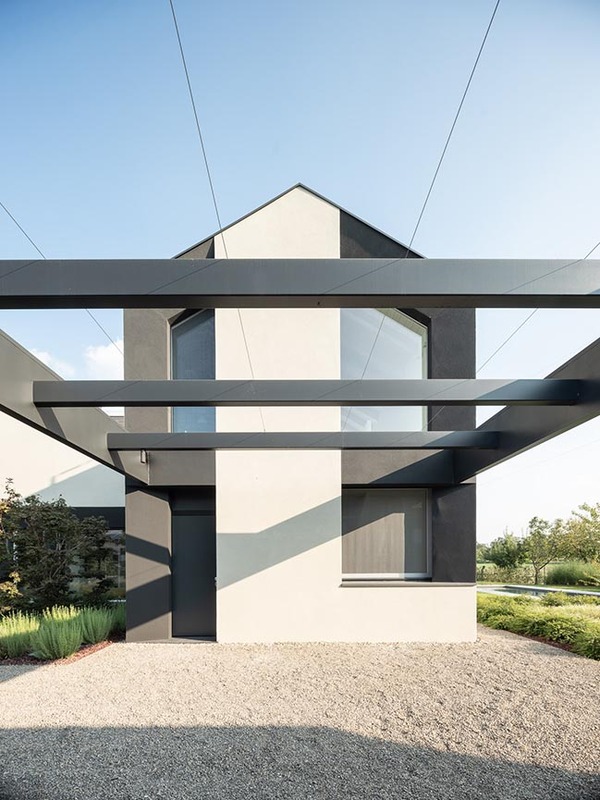 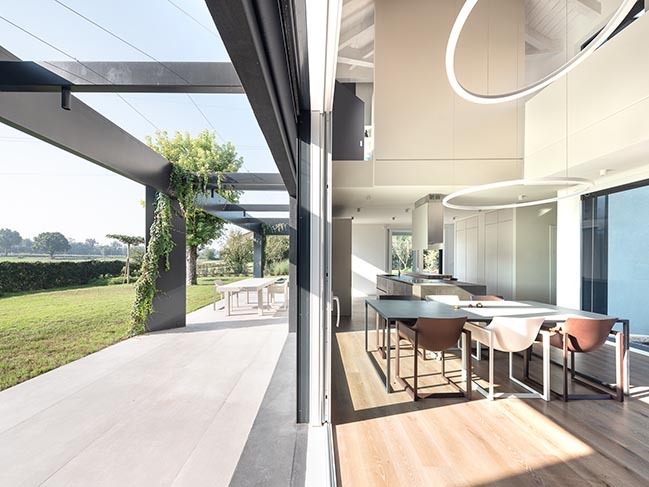 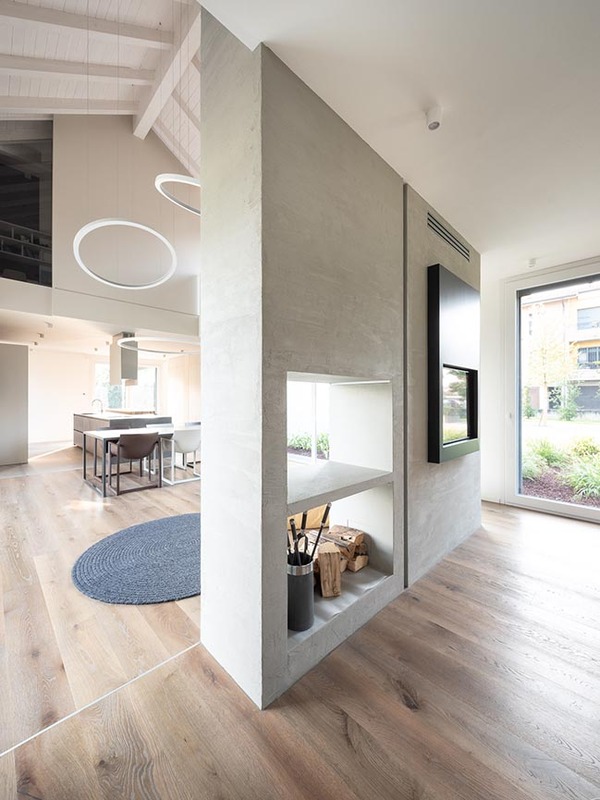 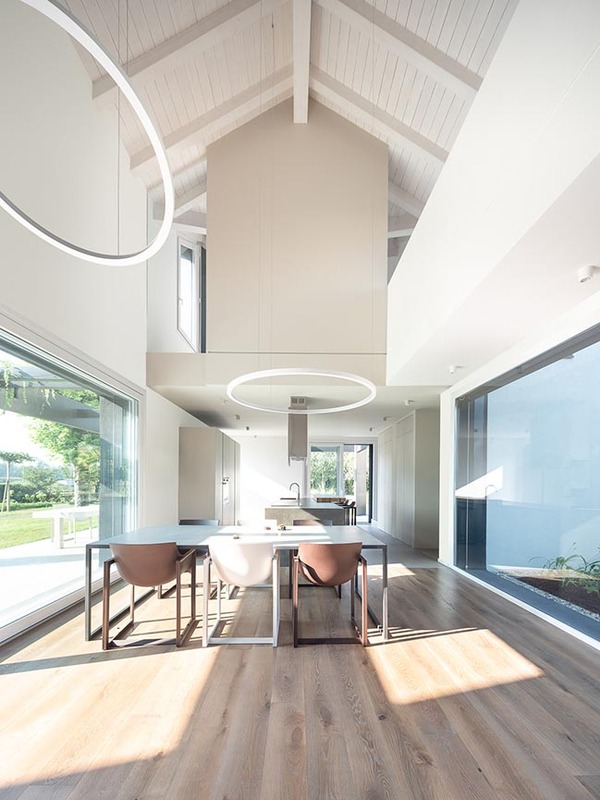 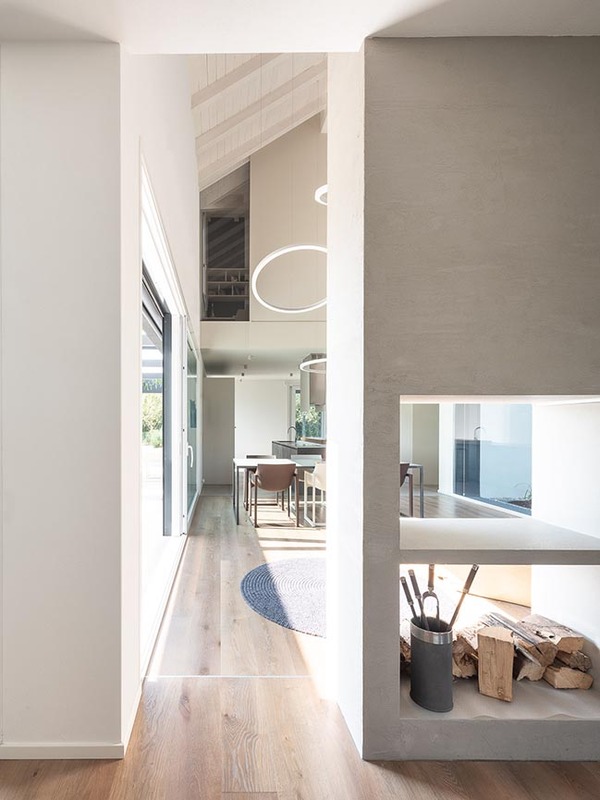 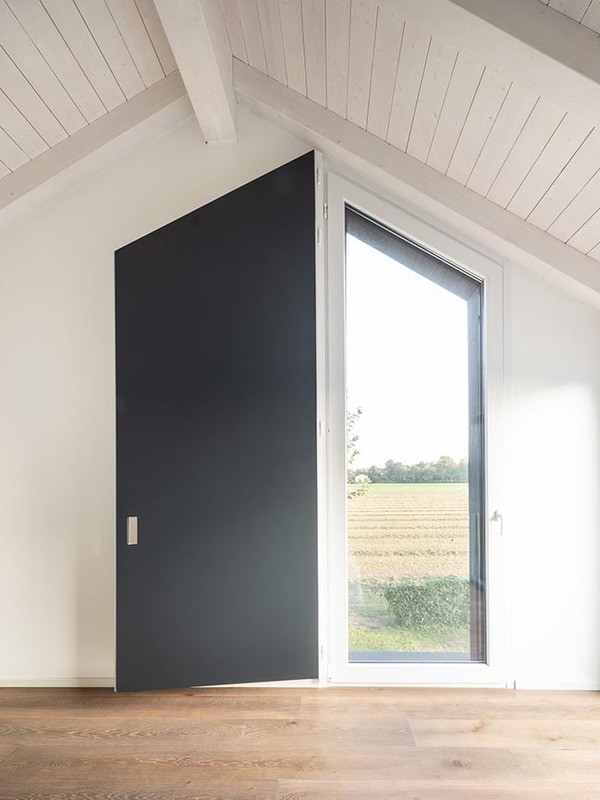 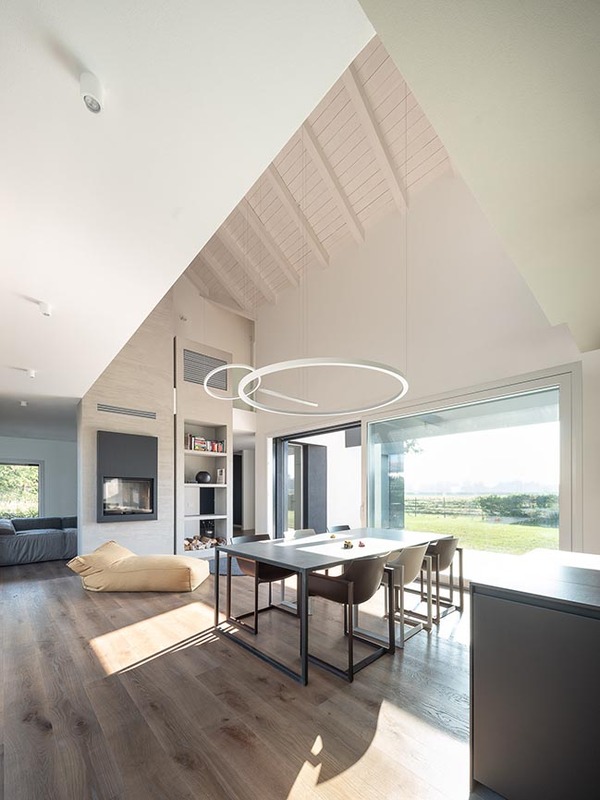 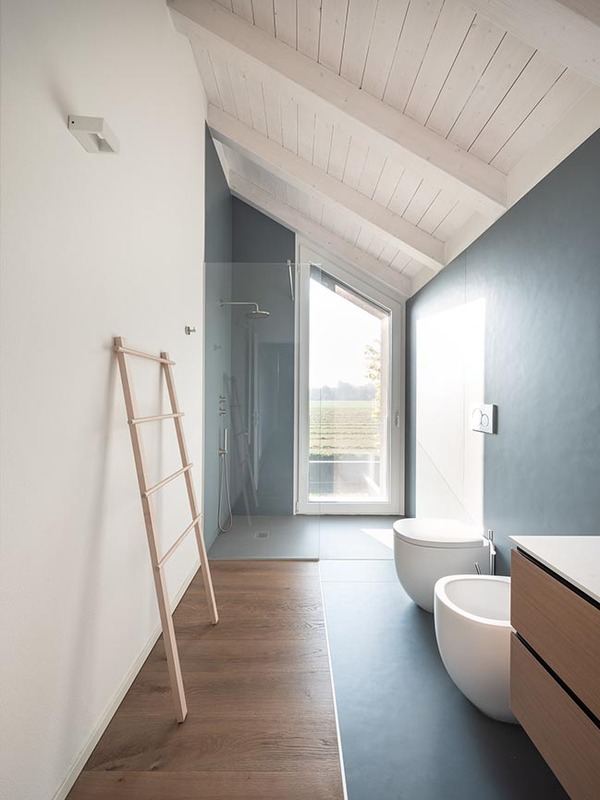 The wings are related by a transparent double height passing through space on the ground which links and connects the spaces of the bedrooms / studio on the first floor through an hanging balcony. 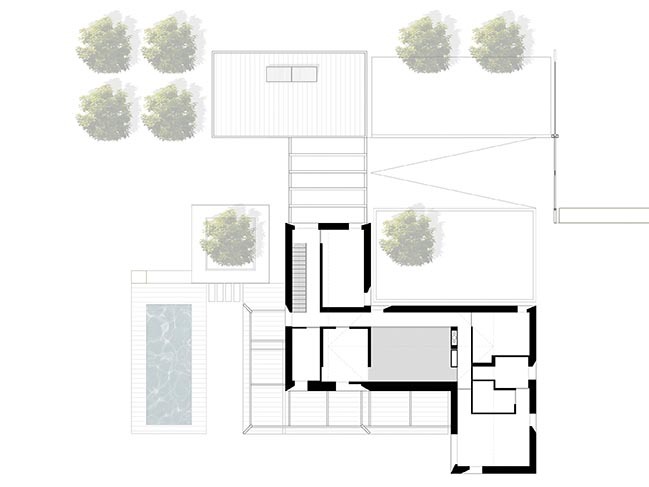 The open space on the ground floor places the kitchen in the south-west corner in continuity with the staircase and the TV room in the north-east corner, leaving the double height living space as the core. 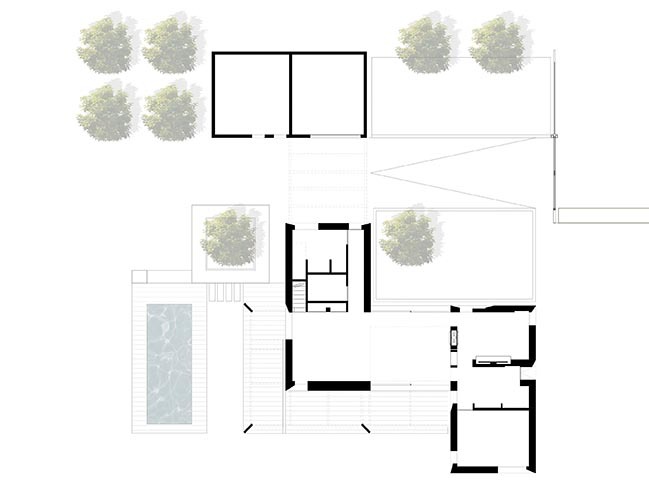 The porch as a solar diaphragm and jasmine canopy configures the open-air extension of the living room, while the first floor rooms extend the house towards the bank and merges it with the lot. 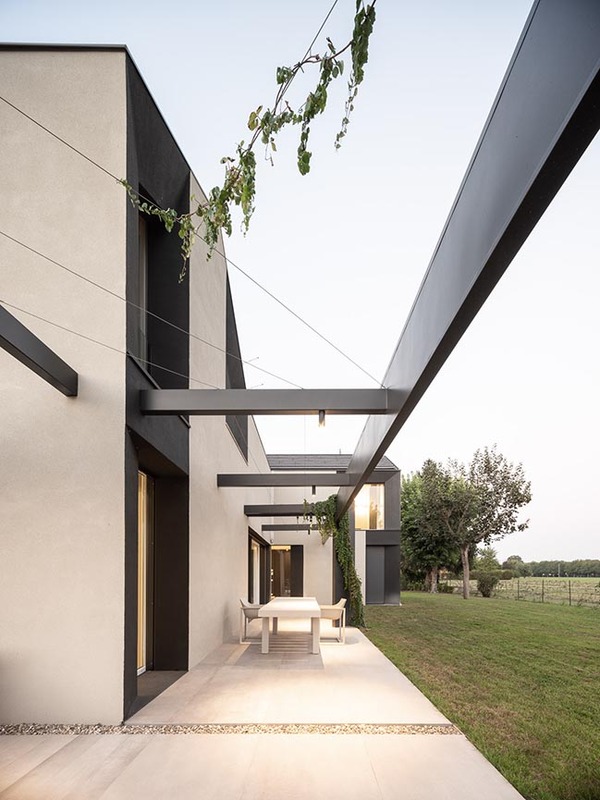 On the opposite side the private entrance to the house is linked to the services (garage and dependance) through another hanging jasmine canopy.